Fatal auto accidents are on the rise in Colorado. According to the Colorado State Patrol and Department of Public Safety, fatal collisions rose by about 20 percent between 2016 and 2017. 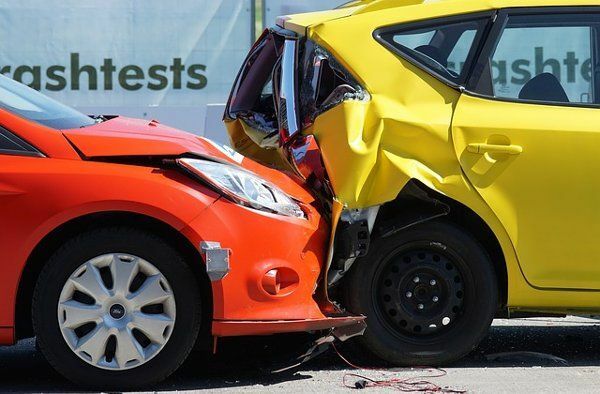 Nonfatal injury accidents have declined slightly in recent years, but thousands of crashes still occur in which Coloradans suffer serious injuries. And when it comes to collisions alone, the state of Colorado recorded nearly 20,000 in the year 2016. If you were injured in a motor vehicle crash in Colorado, it is important to speak with a Colorado auto accident lawyer about your case as soon as you can. An advocate at Bloch & Chapleau, LLC can get started on your case today. Failure to yield the right of way (just over 6 percent of crashes identified in Colorado). As of 2003, Colorado no longer operates under a no-fault system for car accidents. This means that, under the new fault-based system, the driver who is liable for the crash and for subsequent injuries will be responsible for medical expenses and any additional damages. While this means that you do not have to buy additional insurance coverage (PIP), filing an accident claim is more complicated and often frustrating for injured plaintiffs. Under Colorado law (C.R.S. 13-80-101), plaintiffs who are injured in auto accidents have three years from the date of the injury to file a claim for compensation. This is known as the statute of limitations. If you fail to file your lawsuit within three years from the date of the crash, you can be barred from recovery. As such, it is extremely important to get started on your case. An aggressive Denver auto accident lawyer can assess the merits of your claim and can speak with you about your options for seeking financial compensation. Were you injured in a car accident caused by another driver’s negligence? An experienced car accident lawyer in Colorado can answer any questions you have and can help you to get started on your claim. When another driver’s bad behavior causes a crash, the injury victim deserves to seek compensation for her losses. Contact Bloch & Chapleau, LLC today to learn more about how we can assist with your case.